The Czech writer Karel Čapek is perhaps most famous for introducing, by means of his 1920 play about the uprising of artifcial laborers, R.U.R., the word "robot" into world languages. However, Čapek wrote also about other scientifc and technological challenges to humanity – medical, biological a nuclear. To be sure, he explored these topics through the medium of imaginative fiction, and his attitude to science and technology was rather skeptical. Although we do not share his medium or attitude, we wish to honor the contribution of the local classic by adopting his name for our Center. Moreover, the list of his themes wonderfully corresponds with the scope of our research interests: machine ethics, as well as the socio-political challenges raised by AI, automation and other current and future technologies; topics in bioethics, including transhumanism and posthumanism; and, generally, ethical and political issues concerning the emerging sciences and technologies in a democratic society. 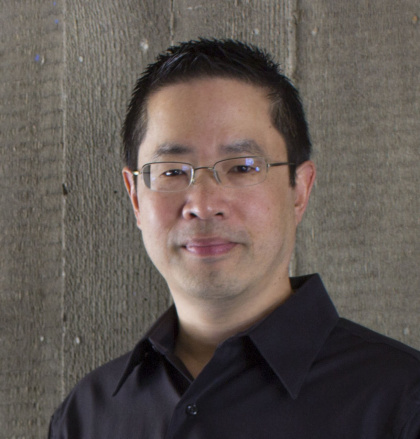 Interview with Patrick Lin, director of the Ethics + Emerging Sciences Group at California Polytechnic State University. Who should make the moral decisions of autonomous vehicles (AVs): programmers, companies or governments? Is there a consensus on this within the scientific community? As it is right now, product development is generally left to the company, which responds to market pressures. Sometimes in the case of drugs, vehicles, and other products that could be dangerous, regulators become involved, and they respond to public pressures. This arrangement seems correct. Every industry is desperately seeking regulator guidance, since the risks can be large, and they want to be assured that they have permission and can limit their liability. Expertise also matters. For instance, if you were constructing a house, you would want input from professional architects and engineers. Why would that be different with ethical issues? Admittedly, there’s still disagreement among philosophers on what the “right” ethical theory is, but we don’t need that answer for practical ethics – we can borrow methods from different ethical theories to draw out the various considerations. Ultimately, how an autonomous vehicle should be programmed is a political decision that must include buy-in from the general public. This isn’t to say the public is always right – they’re clearly not. But they are a critical stakeholder, and if they’re not on board or consulted, then industry will continue to suffer setbacks. While automated vehicles have been manufactured and tested for a while now, does the technology even exist that makes it possible to differentiate between people, animals and other traffic participants? Computer vision, including algorithms that process images, still need improvement. They still have a hard time picking up small objects, like animals, as well as distinguishing shadows and dark spaces, like a pothole. They don’t work well at all in the rain and other bad weather, which occurs in most places of the world. That’s why it’s a good idea to have multiple sensing systems, from digital cameras to radars to lidars and other emerging technologies. Still, they’re surprisingly good and can be made better. They can distinguish a person from a bicyclist from an animal from a car, for instance. And we already know that our laptops and apps have facial recognition technology can identify specific persons; so in theory, robot cars could do that, though it’s unproven at highway speeds with the cameras that these cars have now. If it’s important for robot cars to identify the various things on the road, we could also create a vehicle-to-vehicle (V2V) communications system, or vehicle-to-infrastructure (V2I), or both (V2X). This could include having tags or transmitters on cars, as well as motorcycle helmets, smartphones if you’re a pedestrian, and so on. But that’s much more work than making more advanced sensors, and it’ would open up more ways for abuse or system failures. 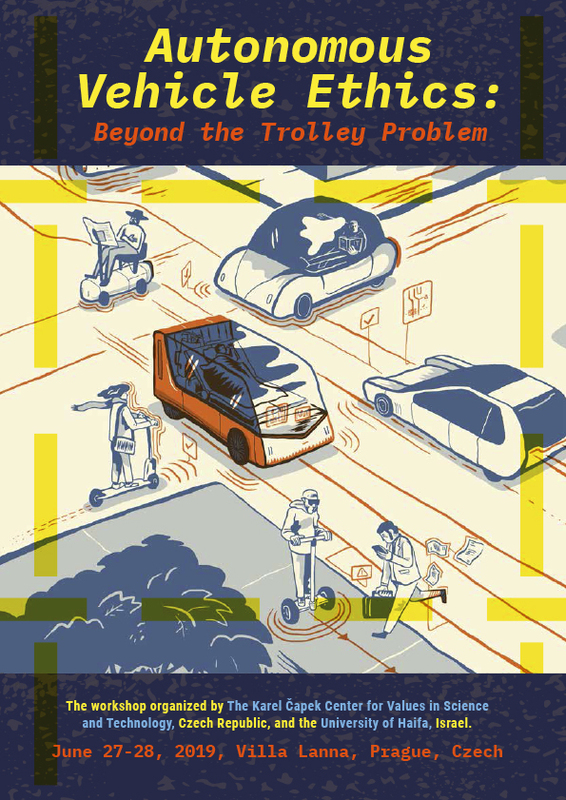 Is policy making possible when the effects of AVs are so unpredictable? For example, if we’re not careful, we could see massive labor disruptions by a robotic workforce, and this would be dangerous if there’s no plan to retrain displaced human workers or otherwise take care of their daily needs. Truck drivers would seem to be among the first casualties, and they represent one of the most popular jobs in the world, as a vital link in our transportation infrastructure. Taxi and other hired drivers may be next, along with traditional auto mechanics who aren’t also computer engineers. Back to ethical programming, there’s also lots of uncertainty when it comes to a potential crash. But, one way or another, a decision about that programming will be made – either by the programmer and company, or by a more inclusive group that accounts for what the public wants. Posted with the permission of Patrick Lin. The Karel Čapek Center for Values in Science and Technology (Prague, Czech Republic), the Department of Philosophy of the University of Haifa (Israel), and Ethics + Emerging Sciences Group at the California Polytechnic State University (San Luis Obispo, CA) are pleased to announce the opening of the call for papers for presentation at a workshop on the ethics of autonomous cars. The event will be held on June 27-28, 2019 at the Villa Lanna, Prague, Czech Republic. - how the benefits and burdens of this new technology will be distributed throughout society. Please send your abstracts (max. 1000 words) as a PDF file by December 31, 2018 to david.cerny@ilaw.cas.cz. You will be notifed of acceptance by February 1, 2019. You can also direct your inquiries concerning the conference at hribek@flu.cas.cz.